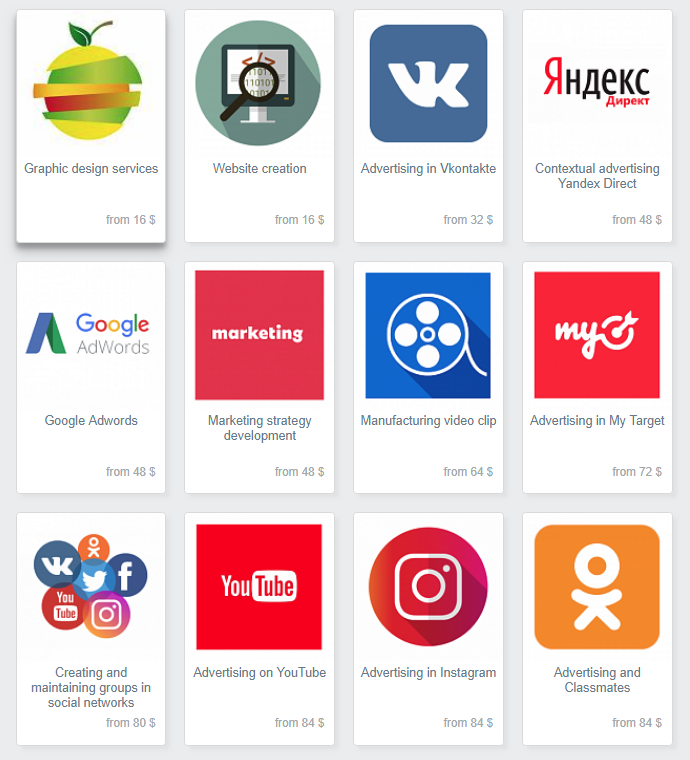 Cheapmedia is an advertising platform, an aggregator of all online and offline advertising channels that helps you buy ads in any media in just a few clicks. Advertising sellers - we bring you customers. Place your advertising products in the cheapmedia directory and get customers from different cities. Advertising agencies - buy advertising in different cities in one place. All advertising in one button, convenient tools for calculating estimates and creating media plans. Convenient advertising buying with cheapmedia service. Affiliate program - We pay 5% of the costs of the given client. Turnkey ICO Marketing - at cheapmedia you will find all the resources to successfully promote an ICO project and attract investors. We have collected all thematic resources on one platform. So that any startup could independently create and run advertising anywhere in the world. Cheapmedia is an advertising platform, an aggregator of online and offline advertising that will help you to buy advertising in any media in just a couple of clicks. It will quickly and effectively create an advertising campaign in your city. Install the application in your Bitrix24 account. Choose one or more goals of the advertising campaign, think what the person should do when he sees or hears your advertising? Choose the campaign period - the start date and when it ends. For example, if you have an event at the weekend, you need to talk about it in advance. Choose your field of activity. So, the service has selected promotional products relevant to your goals and audience. Click on the product to learn more about its contents. If everything suits you, click the "add to media plan" button, after that the ordered product will immediately go to your Bitrix24 CRM in the Deals section. You can add several products within your budget in this way. When you have added all the products, click the button to create a media plan. In the media plan, place the selected products by date. Once you have completed the arrangement - you can print out your advertising campaign or save it to a PDF file in your personal account. Click the "Save" button. If you have not registered yet, the service will offer you a short registration. It is needed to access the personal account. You will see the newly created advertising campaign inside your personal account. Now you can configure it and run it. To do this, click on the button to issue. To view the details of the advertising campaign and adjustments - click on it two times.